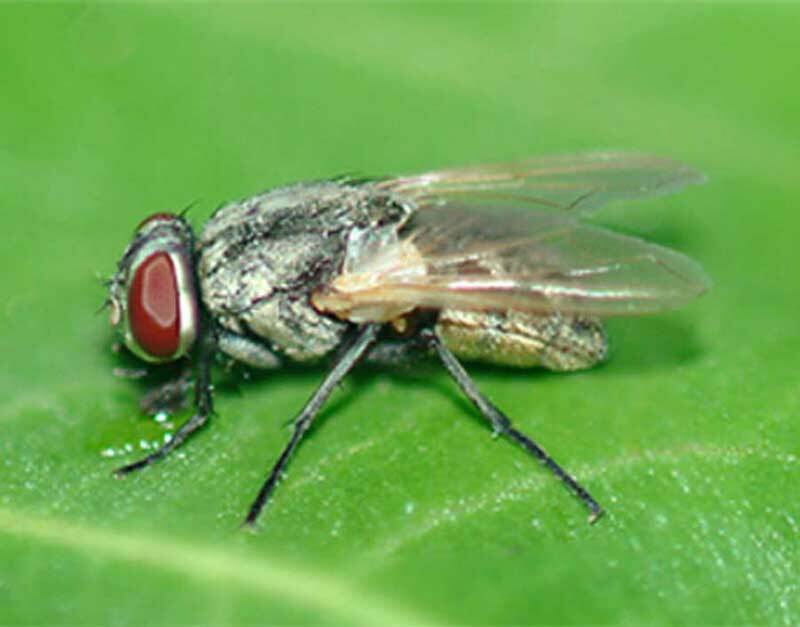 Insect follows Muscidae family, and Diptera order. They are of the most widespread insects around the world and exist in all areas of planet earth, and may transfer dangerous infections. Size is between 5-8 mm, thorax is grey with four dark vertical lines on back. Hair covers whole body, and it has a pair of wings. Female lays about 500 eggs gradually, oviparous breed larvas in 1-2 days, feeding on organics such as garbage. After a week, it turns into cocoon, then complete insect gets out of cocoon. Naturally, the fly lives between a week and a month.